As already noted on the Akustik page, post WWII, independent companies were no longer the norm in East Germany. Government policy was to “nationalize” these private companies, and combine them together into organizational units called Kombinate. These publicly owned, national corporations were known as Volkseigener Betriebe (VEB), and were the legal form of an industrial enterprise in East Germany. This process of nationalizing private companies had been going on steadily since WWII, and on January 1, 1953, three existing VEBs were combined together to form „Blechblas- und Signal-Instrumenten-Fabrik” (B&S). 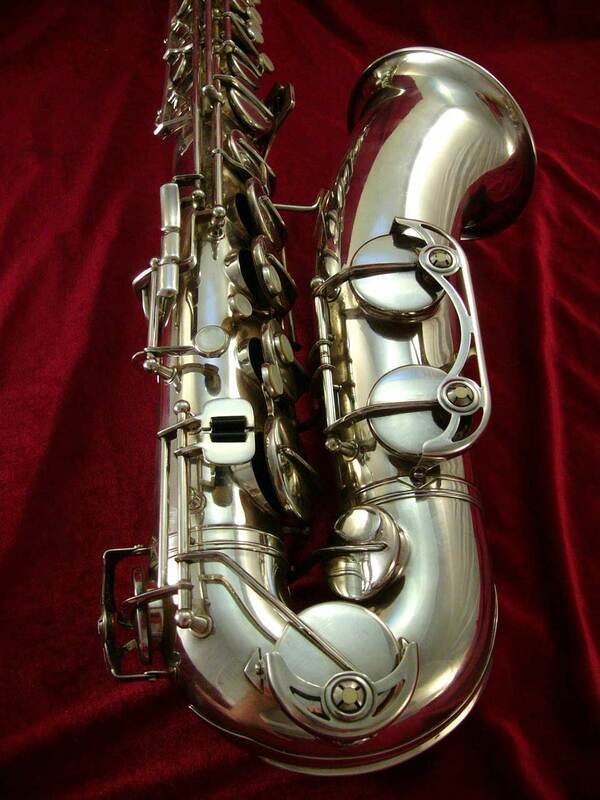 B&S only made the 4 standard types of saxophones: Bb soprano, Eb alto, Bb tenor, and Eb baritone saxophones. 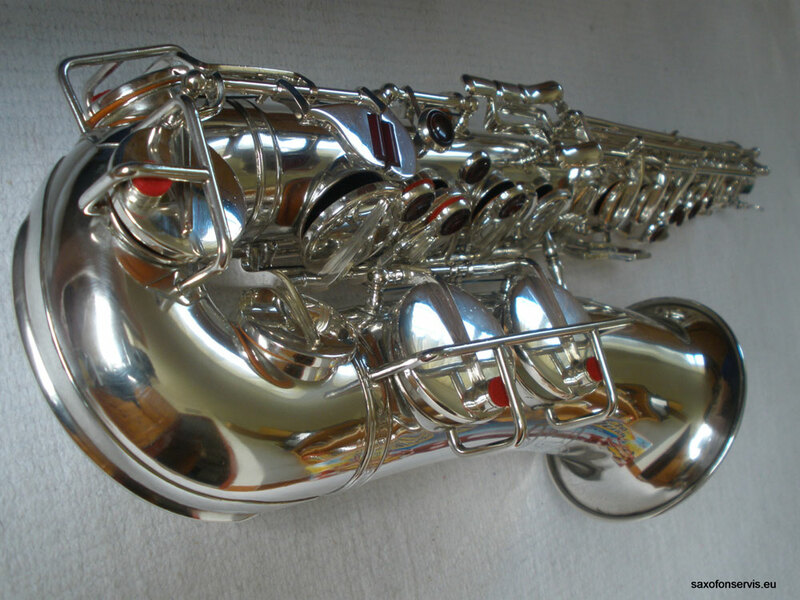 The company offered basically only 2 model ranges of saxophones: The simpler Weltklang engraved horns, and the somewhat better saxes designated B&S. 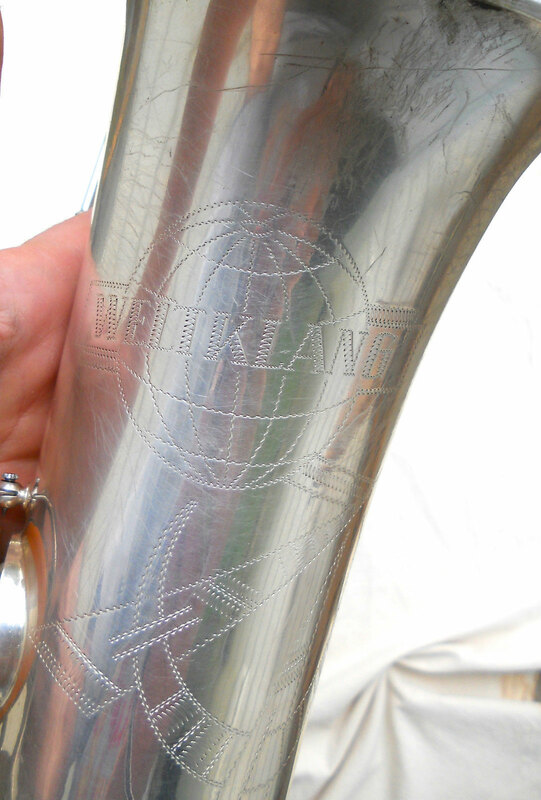 In addition to the names that B&S used for its horns, they also stencilled for other companies, which resulted in a great many B&S-made horns, with a wide variety of names. Some of these names include: Akustik, Berg Larsen, Paul Beuscher, University, Sonora, and others. 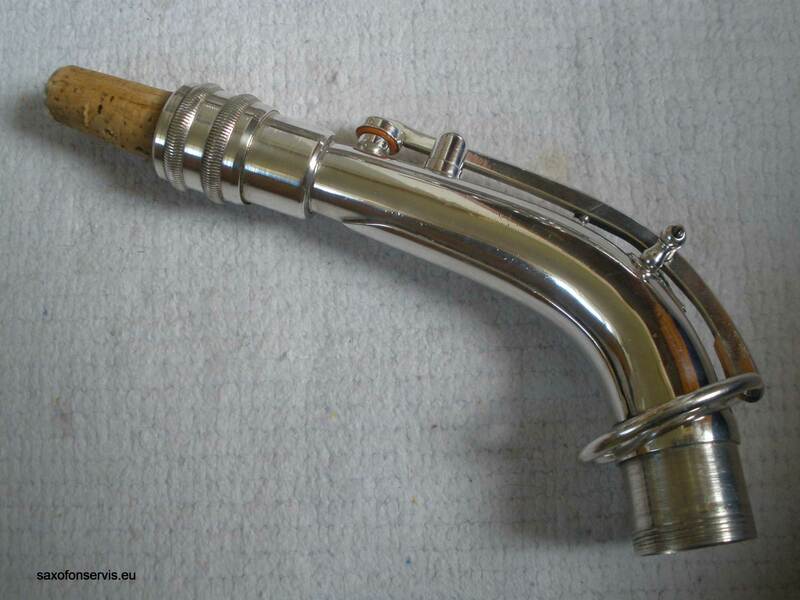 Check out the Blechblas- und Signal-Instrumenten-Fabrik gallery on Bassic Sax Pix to find more names, and see some of the horns I’ve found to date. 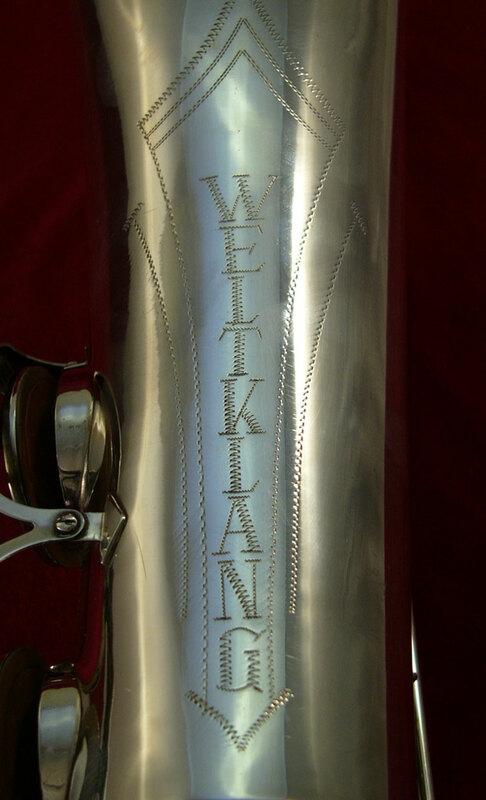 Weltklang was introduced in the early 1960s as a replacement for the Akustiks, and were made for approximately 30 years. The line was discontinued in 1994. In German, Weltklang means “world sound”. Weltklang vs. B&S: What’s the difference? 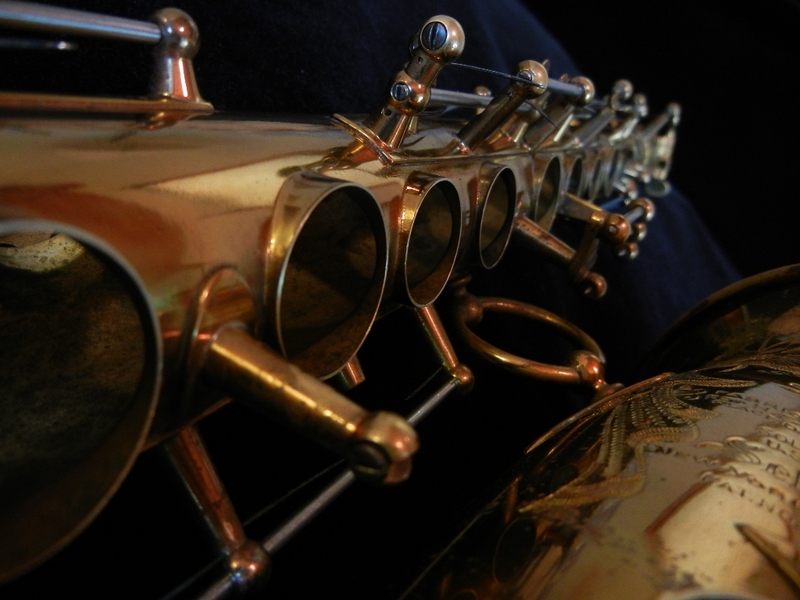 In Saxophone: Ein Kompendium, Uwe Ladwig refers to a discussion he had with Gerhard Lederer1. 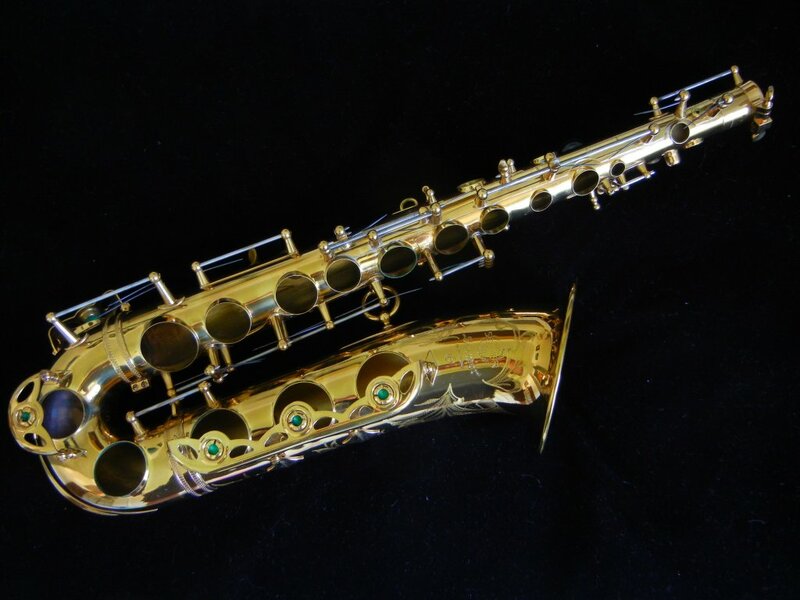 Lederer worked for B&S for 30 years, including a 13-year stint as the Divisional Director of Saxophone Production. 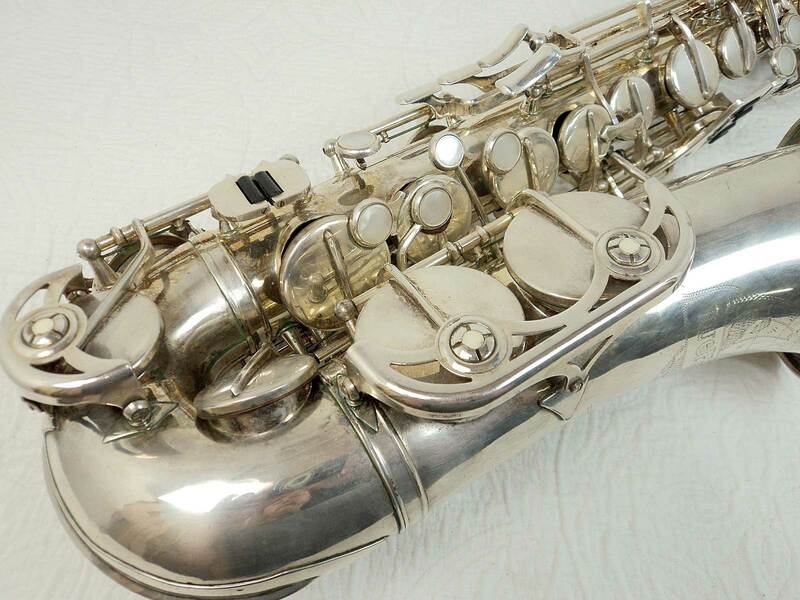 According to Gerhard Lederer, the main difference between the Weltklang and B&S saxophones was their tone hole placement. 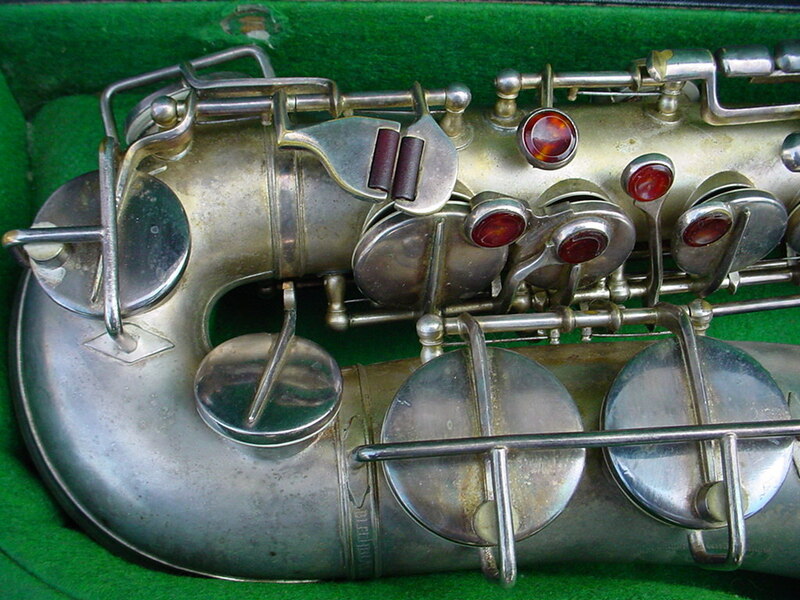 Weltklang saxophones had inline tone holes. 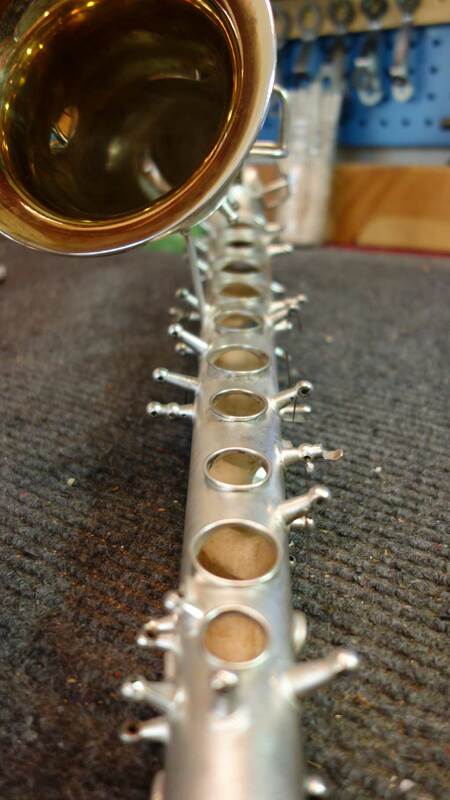 Vintage horn players are likely very familiar with the feel of inline tone holes, since Conn, Martin, Buescher, and even pre-Mark VI Selmers had the main tone holes in their body tube arranged in a line, one under another. 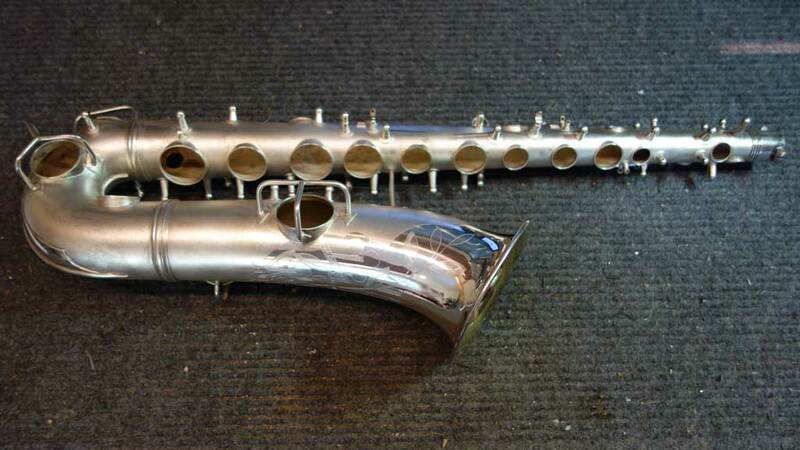 B&S saxophones, on the other hand, had their main tone holes offset. 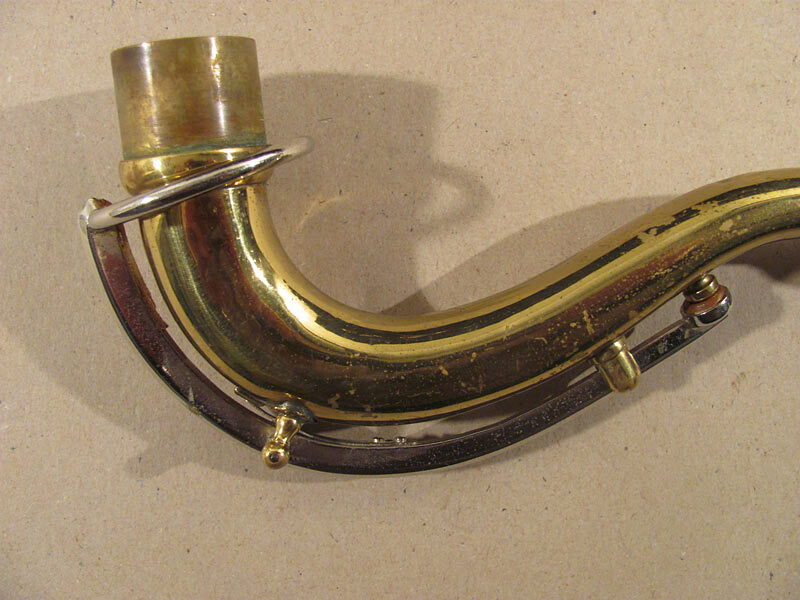 This means that their right hand tone holes were closer to the player’s hand, thus making the horn more ergonomic. 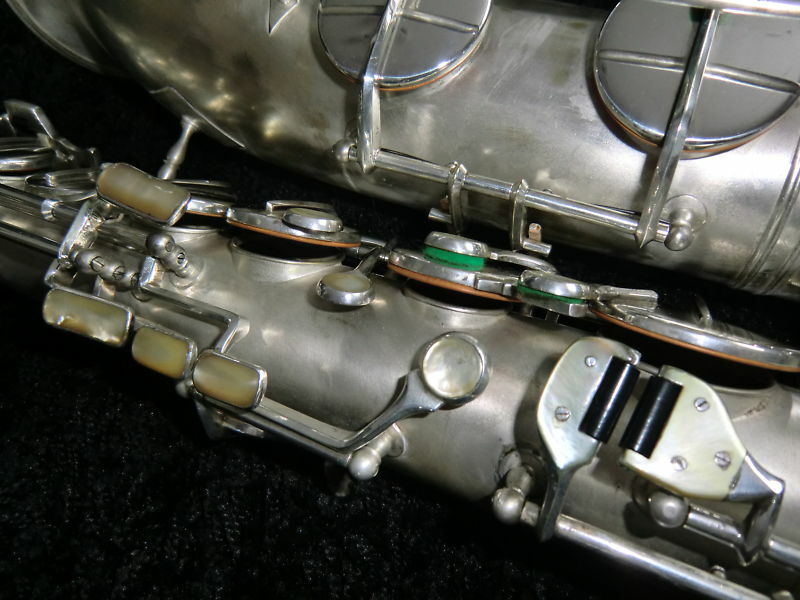 This is something that Selmer introduced in their Mark VIs, and what we continue to see in most modern saxophones to this day. 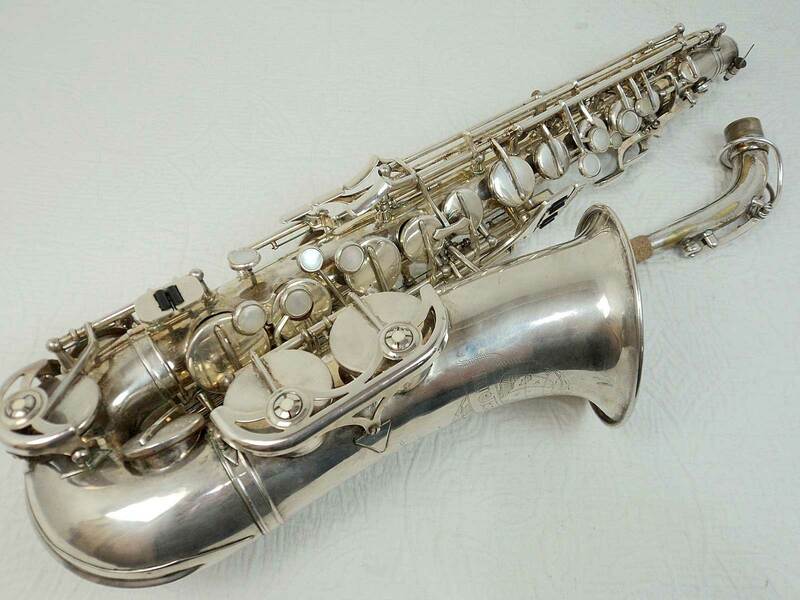 two tone (lacquer body with silver or nickel plated keys). 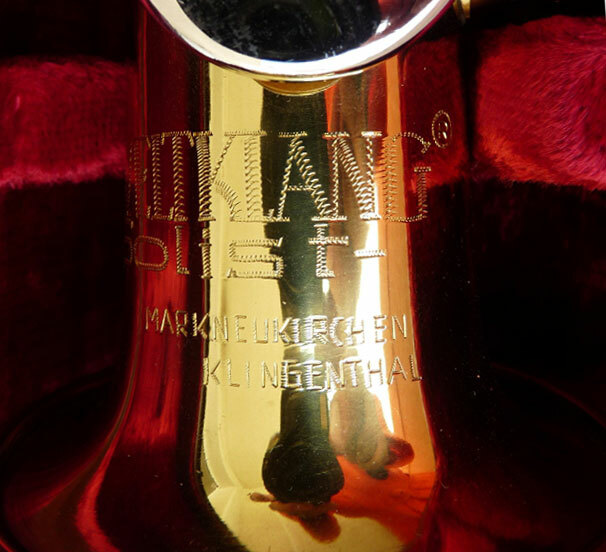 Some early model Weltklang altos and tenors also had the coloured key touches and rollers previously found on the Akustik horns that they replaced. 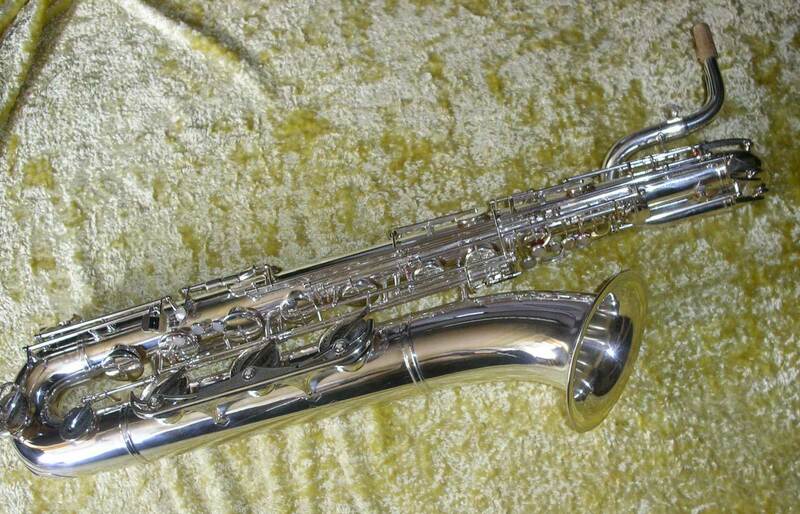 At the time of writing, the highest serial numbered horn that I have seen with glass touches is tenor 3998. 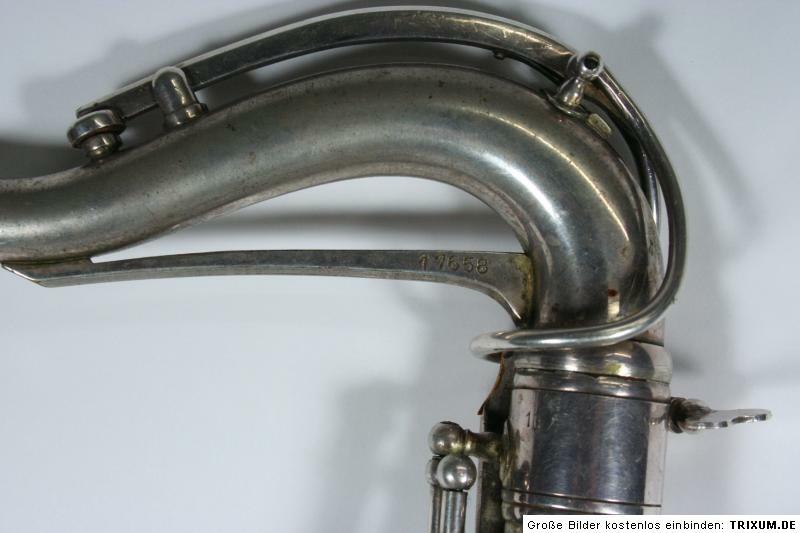 Peter Wilmanns, who put together a speculative serial number and basic features chart for Weltklang horns, identified 4 different Weltklang logos. Given that these horns were built for 30 years, this is not surprising. What is perhaps surprising, is the wide variety that these logos had. 1. 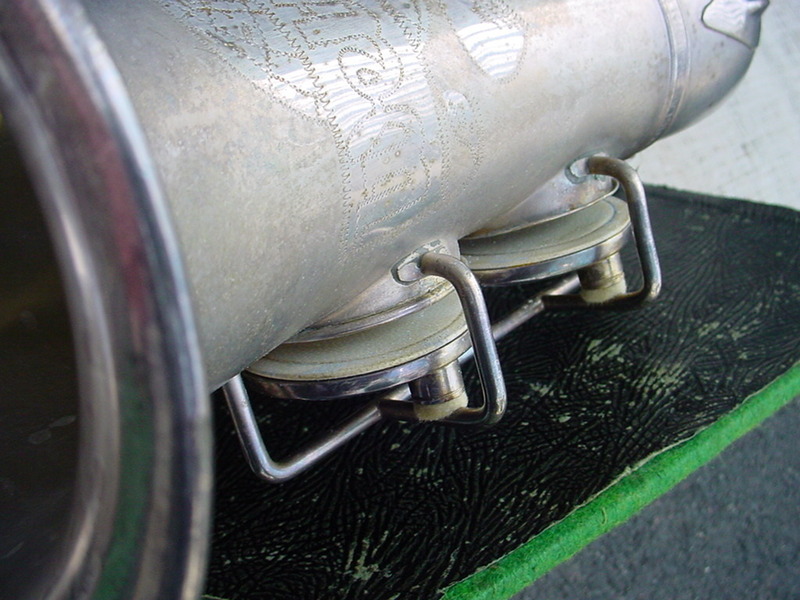 The earliest logos were large, and took up a big portion of the bell. 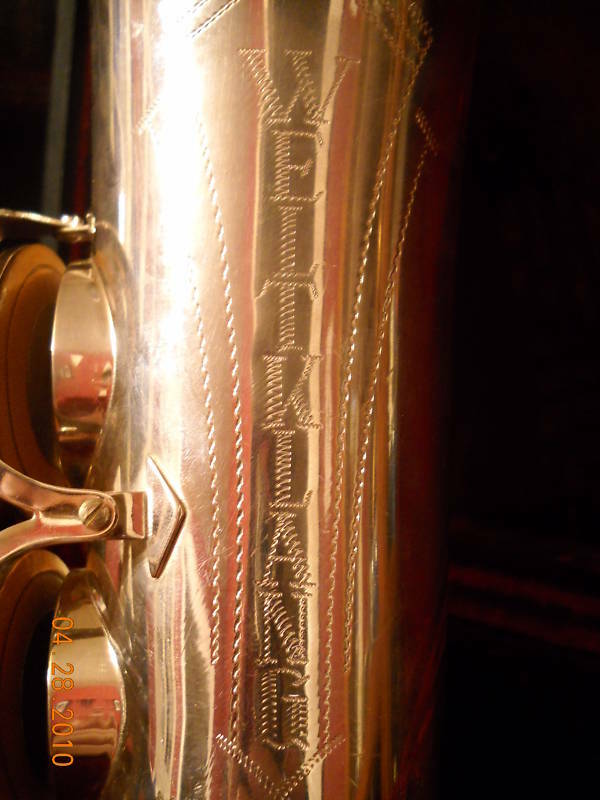 These are also the most ornately engraved logos of all the ones I’ve seen. 2. The next logos still had the world globe, but in a smaller size. Also, the script text from the earlier logo had been replaced with a capitalized block text. 3. The third style of logo for Weltklang was a vertical text. 4. 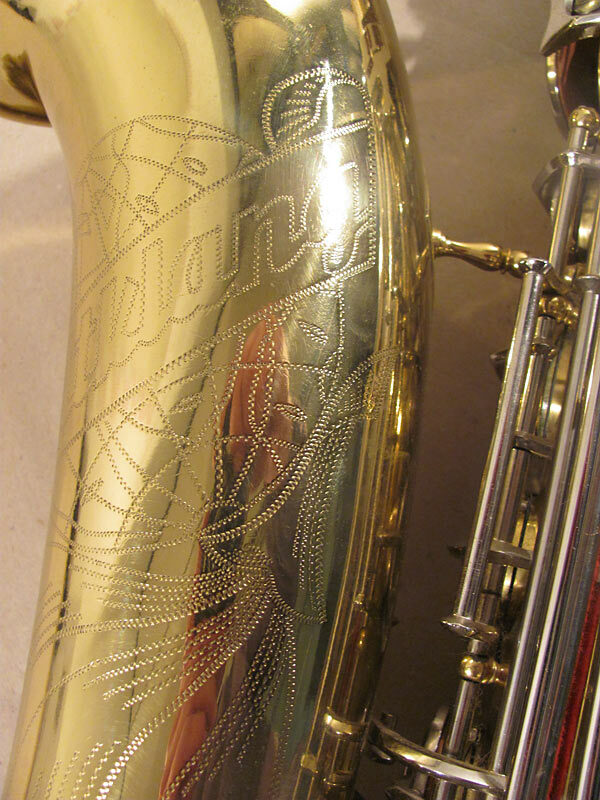 The final type of engraving that Peter Wilmanns identified on Weltklang saxophones was a very simply horizontal type. 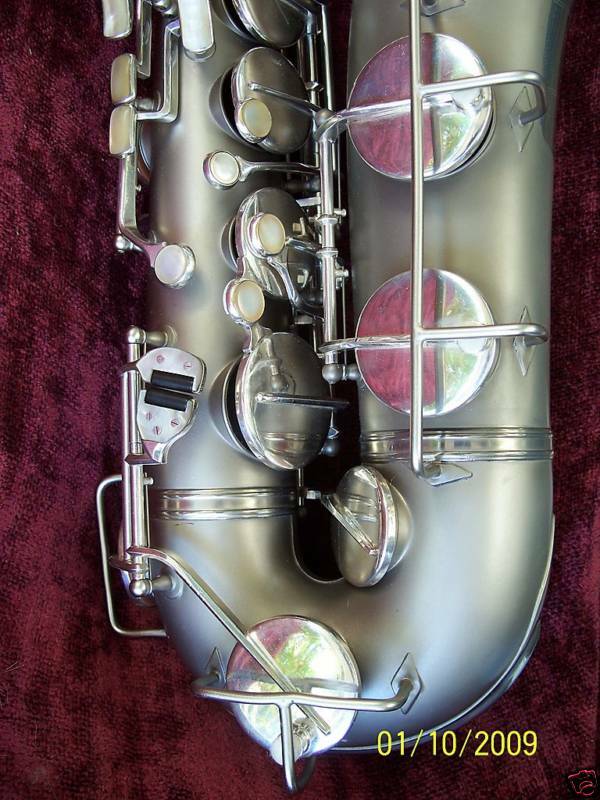 According to Uwe Ladwig’s3 , Peter Wilmanns’4, and my own research, these were the various saxophone models that B&S built under the Weltklang name, and their features. 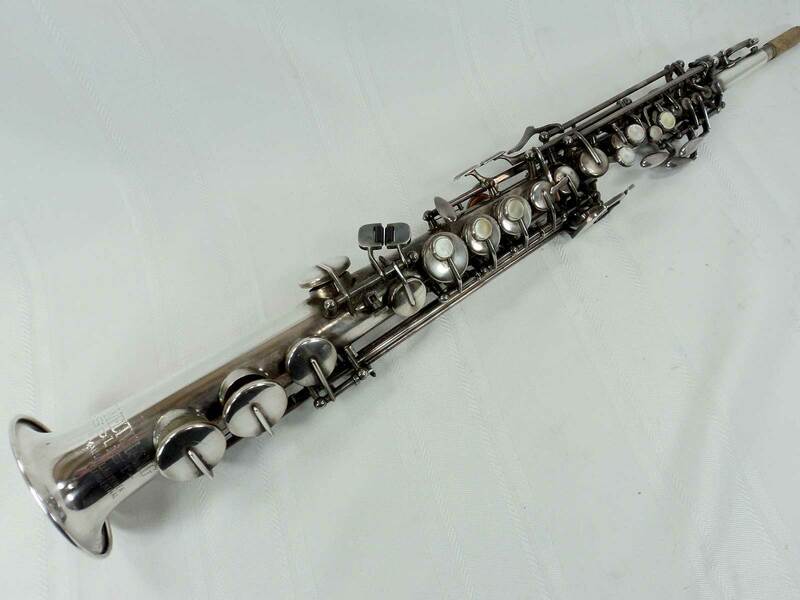 In the 1960s Weltklang started out with rolled tone holes, and then switched to the simple drawn variety during the 2nd decade of production. 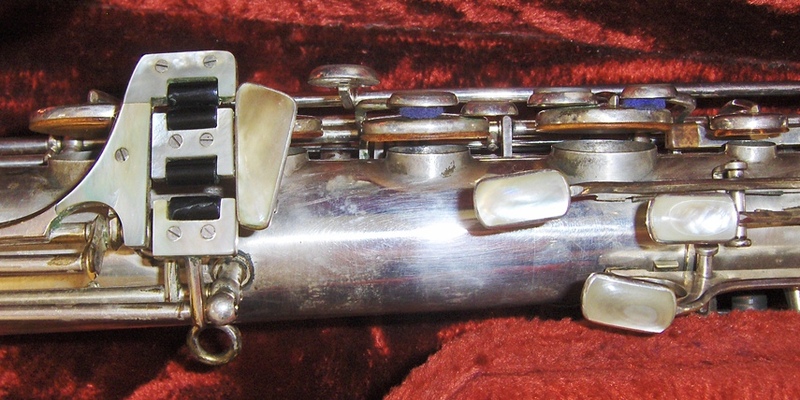 Very early, upper octave keys were soldered, 2-piece keys. These were replaced by a 1-piece key later in 1960s. Also had microtuner during the 1960s. Wire key guards were replaced by sheet metal key guards during the 1970s. Low C key redesigned. This appears to correspond with the introduction of the sheet metal key guards. 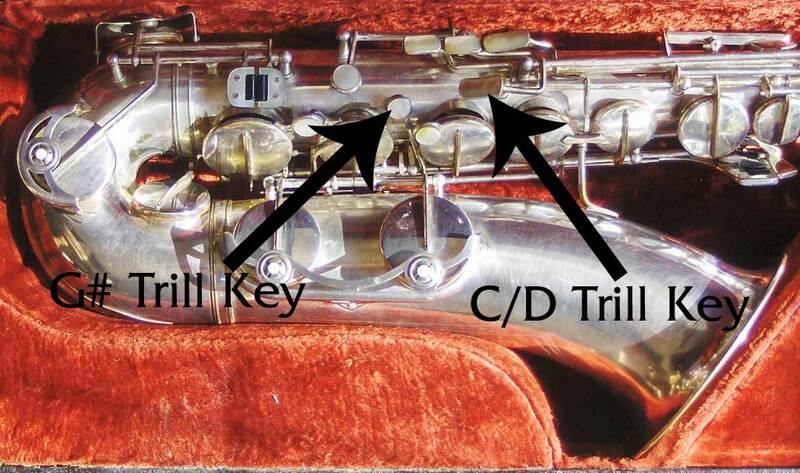 During the 1960s had: fork Eb, G#, and C/D trill keys. 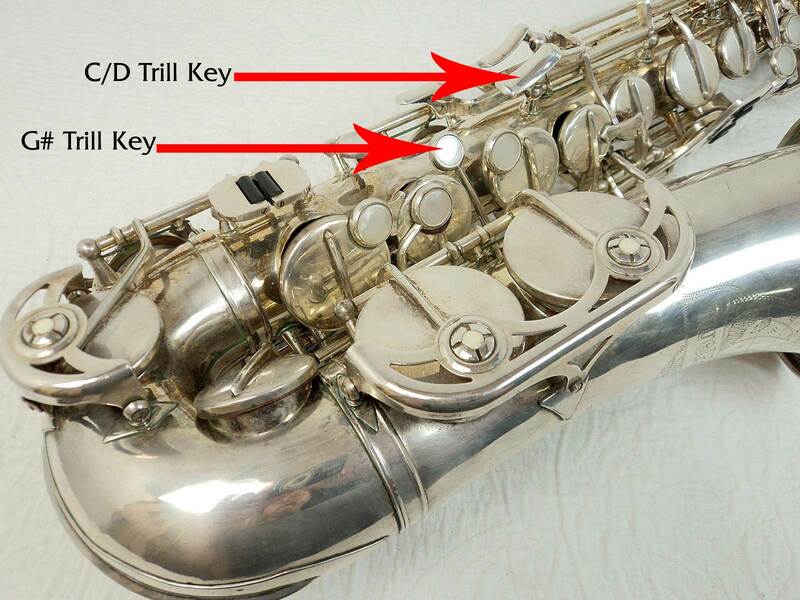 During the 1970s dropped all but the G# trill key. In the 1960s they started out with rolled tone holes, and then switched to simple drawn variety during the 2nd decade of production. 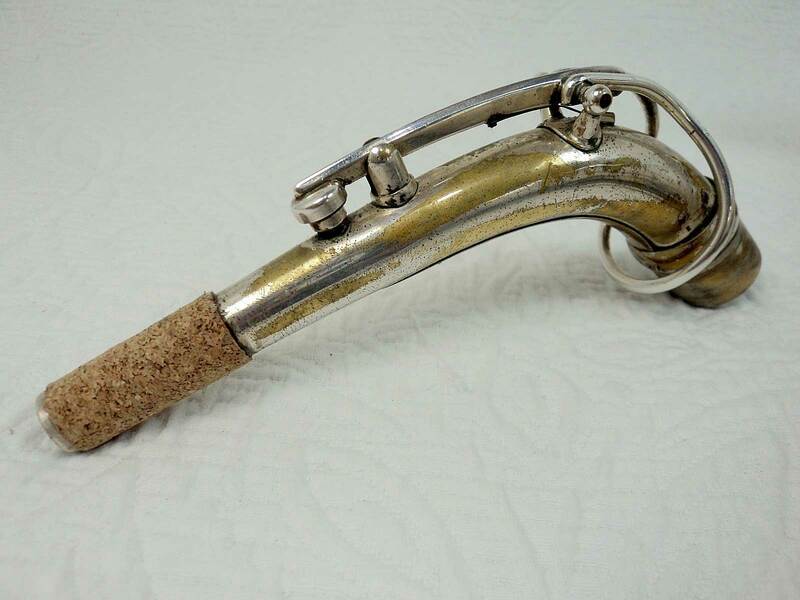 Very early, upper octave keys were soldered, 2-piece keys. These were replaced by 1-piece keys later in 1960s. Most had a neck brace during the 1960s as well. In the 1960s they started out with rolled tone holes, and then switched to simply drawn variety during the 2nd decade of production. The sheet metal guards stayed the same in design, even after the company transformed into VMI post unified Germany. 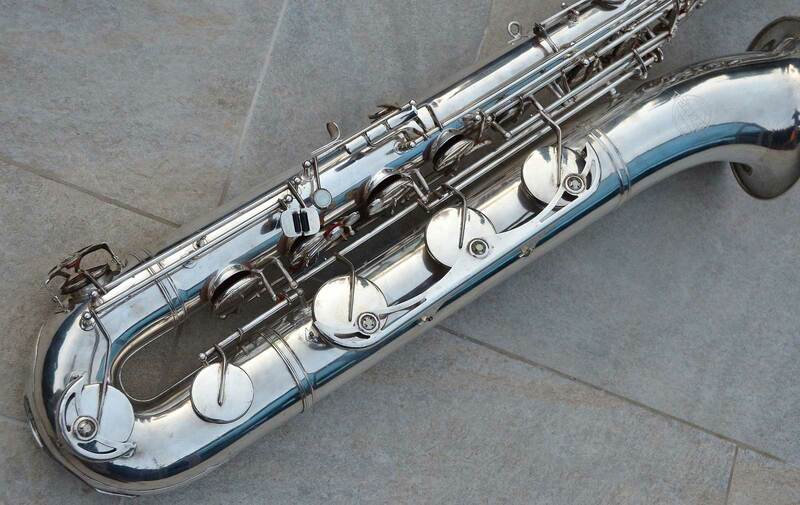 My Medusa baritone has the same key guards as those seen in the latter Weltklangs. 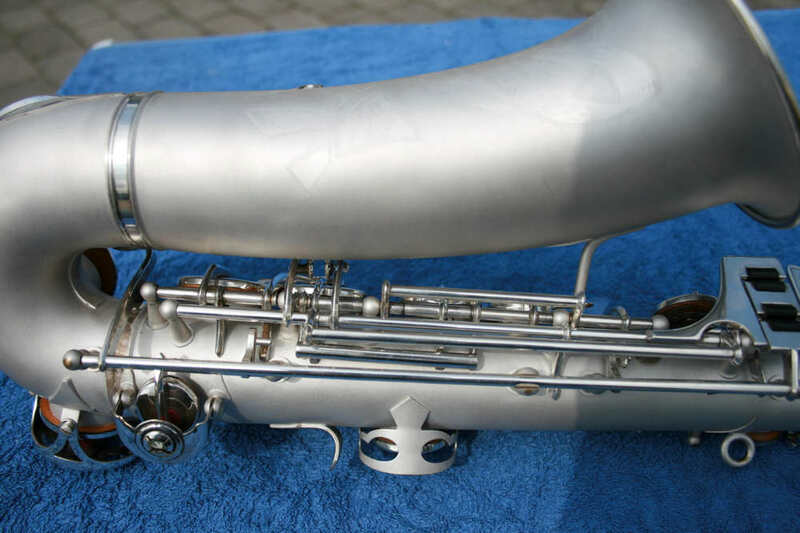 It is interesting to note that Weltklang saxophones appear to all have been keyed down to low A. I have not seen one that only goes to low Bb, nor have seen references to any low Bb baris either. 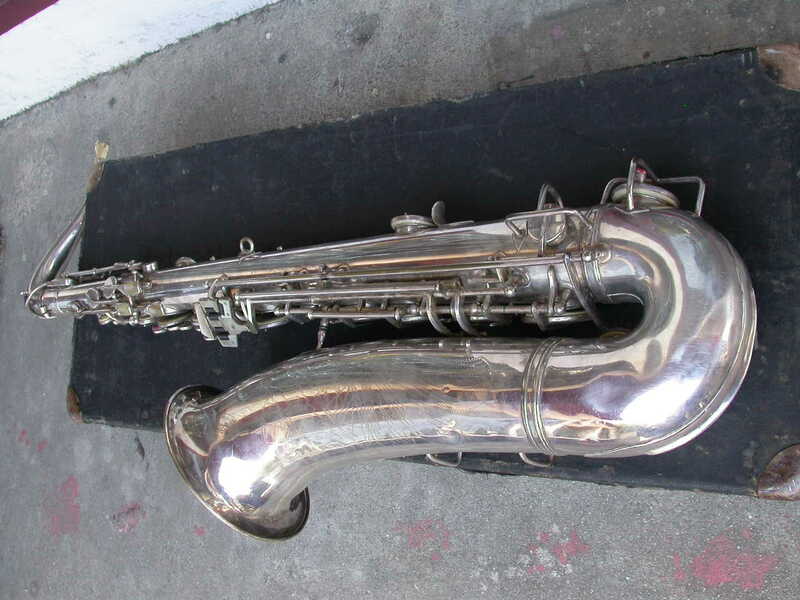 There is a great deal of conflicting and inaccurate information about Weltklang baritone saxophones vis–à–vis their relationship to Keilwerth. Furthermore, the rumours abound which Keilwerth brother (Richard, Max, or Julius) was involved. Finally there is an accurate English language page that dispels all these rumours. 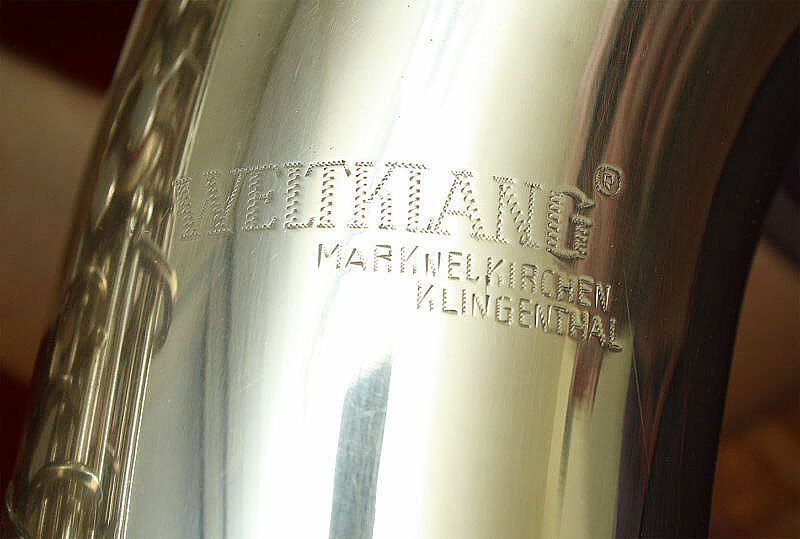 If you’re looking for information on Weltklang baritones and the Keilwerth connection, please read the next page. The answers you are most likely looking for can be found there. 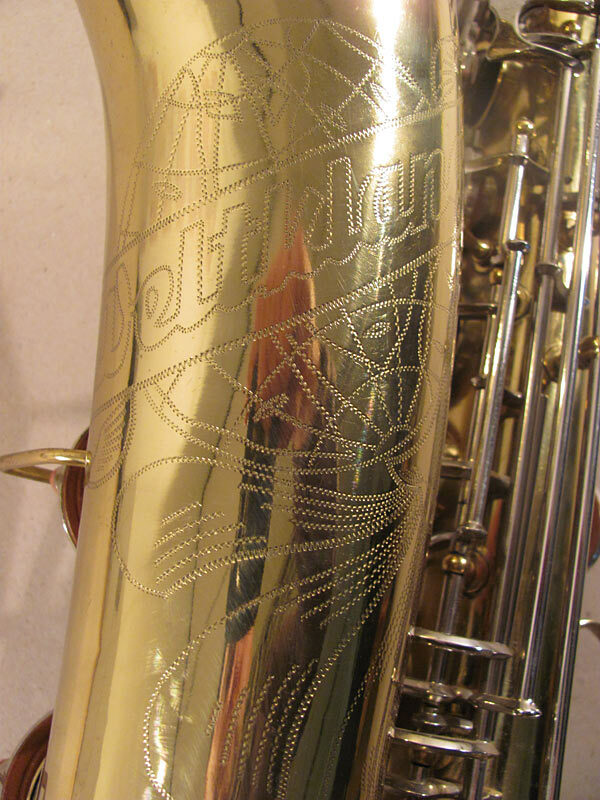 I have a fairly extensive collection of Weltklang saxophone images in Bassic Sax Pix. If you are interested in checking out what the various horns looked like, my galleries are a good place to start. 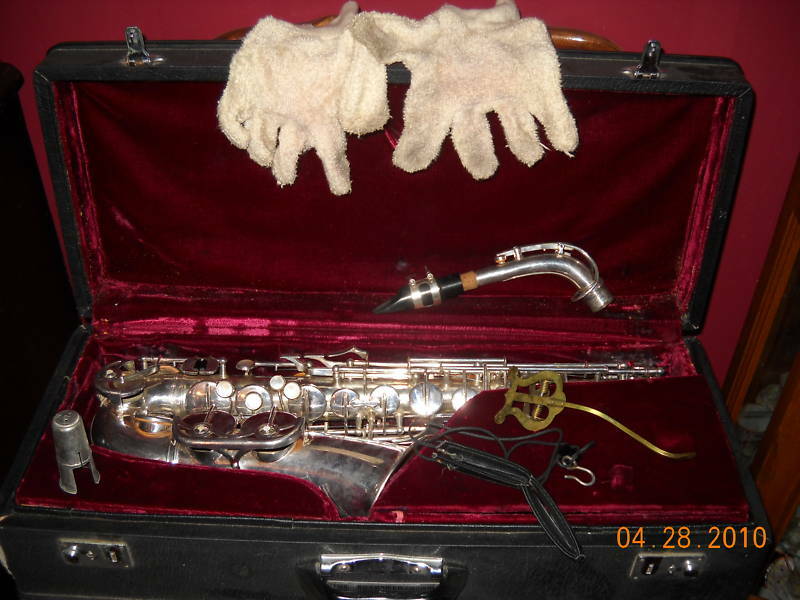 A SOTW member from Kiev, who specializes in Eastern European saxophones, started a thread on Weltklang baritone saxophones on SOTW. If you’re interested in researching minute differences between the baris built over the years, then the illustrated thread he started may be of interested to you. 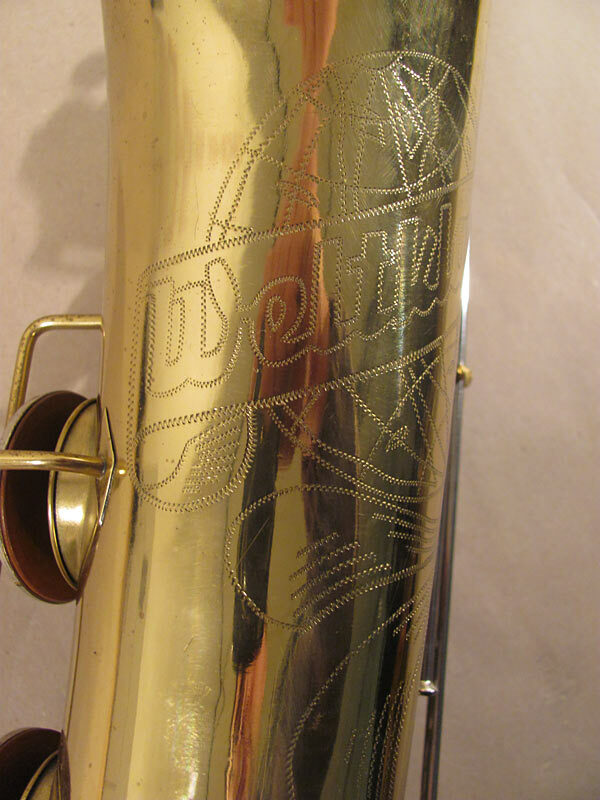 Also included in the thread are pics of stencil horns. I don’t necessarily agree with the way he divided up the baris into 9 models, but it makes for an interesting read. 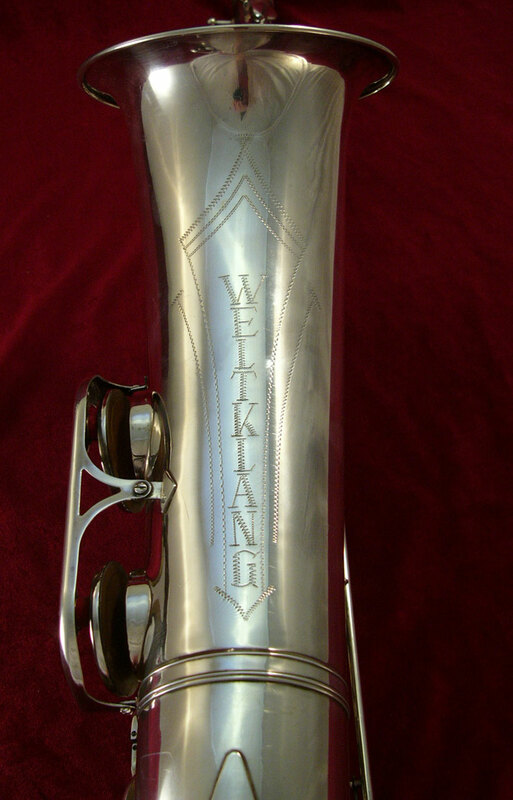 The Soloist model of Weltklang was the step-up model. 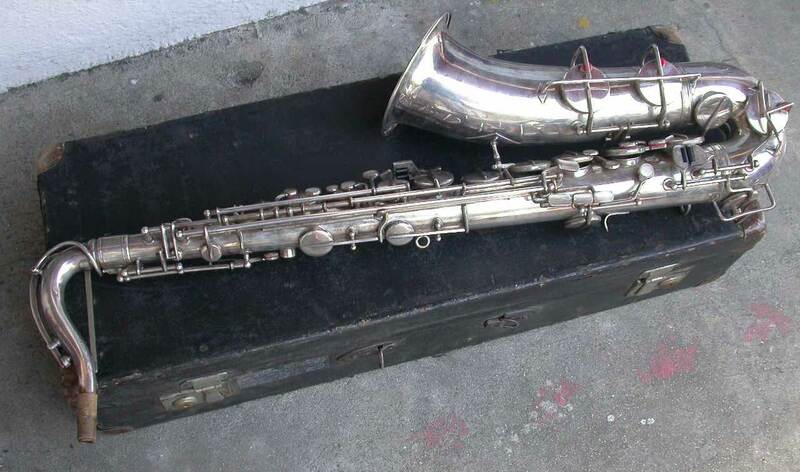 I have not been able to find out any definitive dates of when the different saxophones (soprano, alto, tenor, bari) were released as Soloist models, or how these horns differed from the conventional Weltklangs. 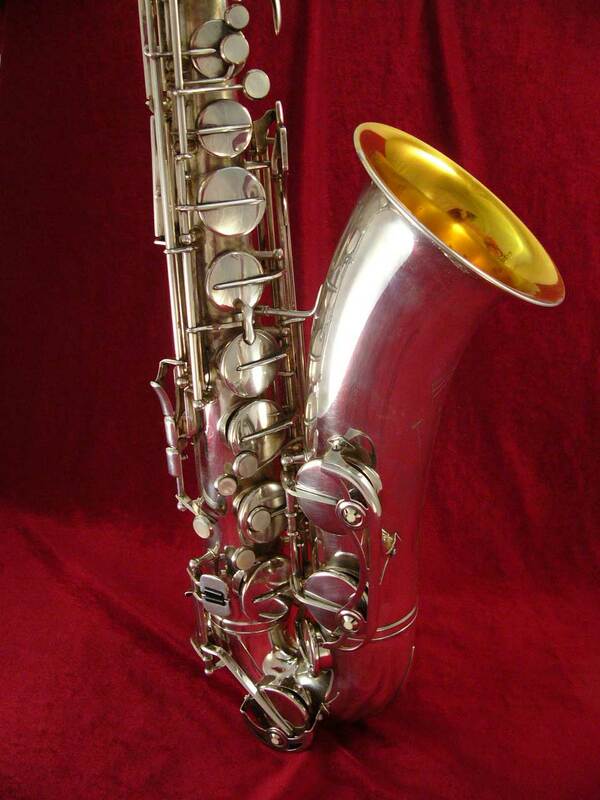 If you have a Weltklang saxophone that you would like to share on Bassic Sax Pix, please send me an email. Thanks! 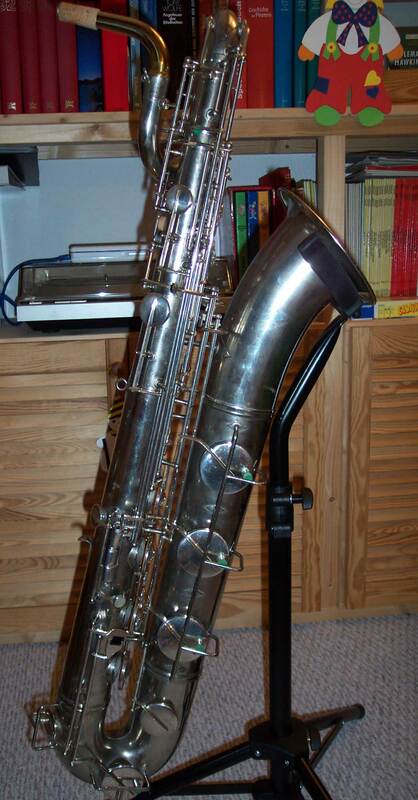 1 Saxophone: Ein Kompendium, by Uwe Ladwig. Second edition 2012, p. 142. Note: The the exception of the footnotes above, the source of information for this page is from Uwe Ladwig, in der deutschen Fachzeitschrift—German music journal—SONIC sax & brass. 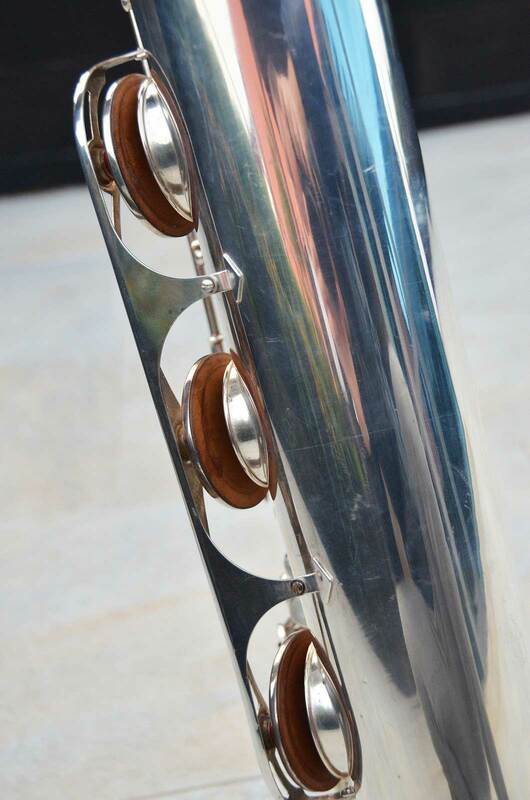 Special thanks also to Matt Stohrer of Sohrer Music, for his excellent photos of inline and offset tone holes.